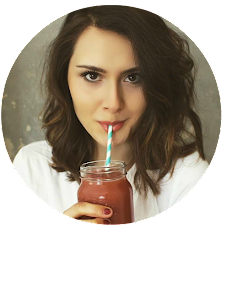 Sushi is really delicious and as popular as ever but shop bought sushi can often be full of refined ingredients and added sugars, so it isn't always the healthiest choice. 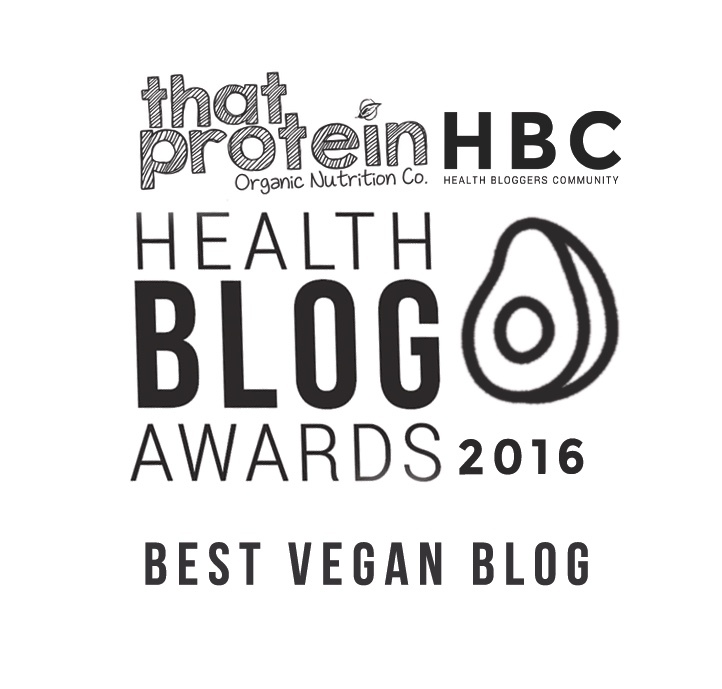 Plus, sushi isn't often suitable for those on a plant-based diet or if you're avoiding gluten. The answer? Make your own! Making your own sushi at home is not only super fun but it ensures you know exactly what's going into the delicious seaweed rolls. 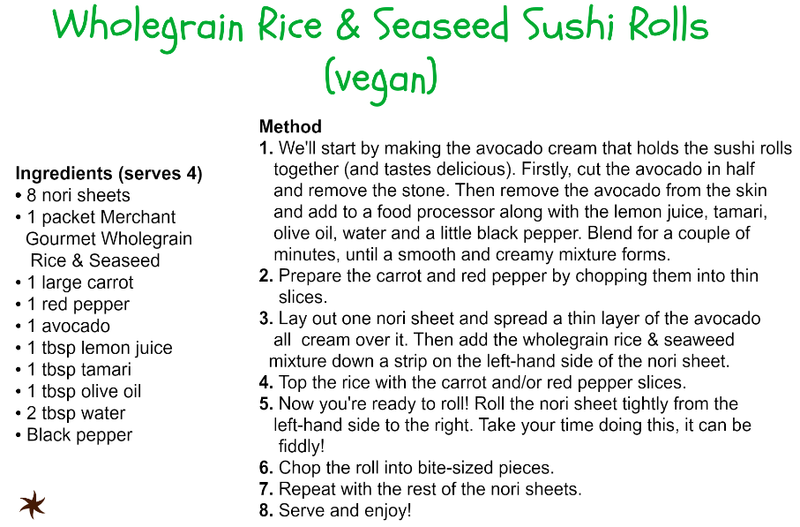 These vegan sushi rolls are made with Merchant Gourmet's Rice & Seaweed, which is far more nutritious than the white rice sushi normally contains. 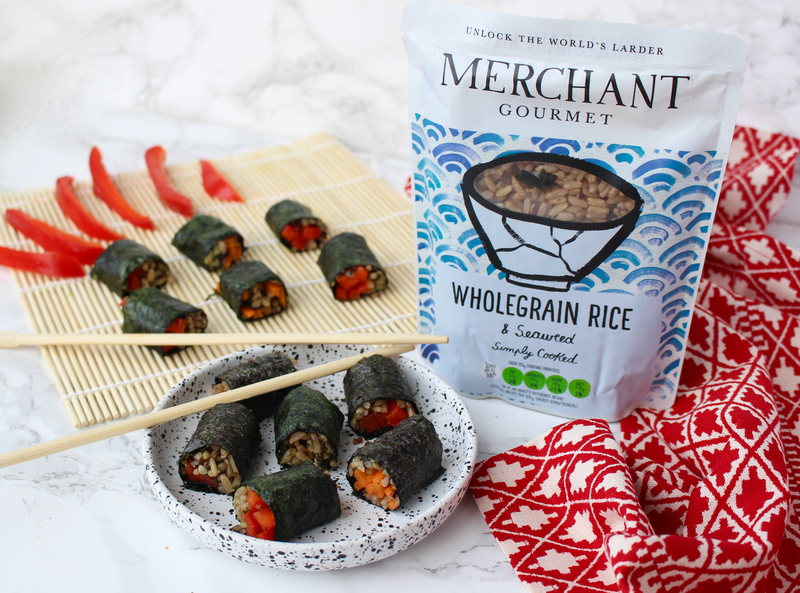 The wholegrain rice is lightly flavoured with wakame seaweed which is known for it's essential nutrients and vitamins, and simply cooked with only water and a dash of olive oil - the perfect sushi filling! These sushi rolls are made with an amazing avocado cream that helps to hold all the ingredients together and adds an incredible creaminess to the sushi rolls, as well as some healthy fats that'll help your skin to glow, your hair to shine and keep you feeling fuller for longer. I chose red pepper and carrot strips as the veggie filling but really you could use anything you fancy - how about cucumber, beetroot or beansprouts.